MOBILE, Ala. – Dr. Maryann Kyle, internationally recognized as one of the finest vocal coaches of belt, legit and classical vocal technique, will lead the new graduate programs in the Alabama School of the Arts at University of Mobile. Kyle has earned a reputation among students for dynamic teaching and lightning-paced results. She has extensive experience teaching, coaching, and performing opera, recitals, concerts and Broadway shows. She actively mentors over 20 teachers of voice and theatre in various universities across the United States, and her students can be found on the stages of the finest opera and musical theatre companies, conservatories and training programs across the globe. “We are thrilled that Dr. Kyle has accepted our invitation to lead the university’s new graduate programs in the Alabama School of the Arts. A leading expert in the field of vocal performance, Dr. Kyle will continue our trajectory of growth and innovation while adding immensely to an already world-class faculty in the Alabama School of the Arts,” said Dr. Chris McCaghren, provost and vice president for academic affairs. Currently, Kyle is professor of voice and pedagogy at The University of Southern Mississippi, director of vocal studies with International Performing Arts Institute (IPAI) in Thailand, and maintains a studio in New York City. She will join the Alabama School of the Arts faculty in Fall 2018. She holds a Doctor of Musical Arts in vocal performance and theatre from Louisiana State University; Master of Music in vocal performance and pedagogy, and Bachelor of Music in voice performance, both from The University of Southern Mississippi.  Kyle will host the 2nd annual Pedagogy of Style conference on the campus of University of Mobile in February 2018. Kyle was the vocal coach for the musical Twist, a new show by composers Tena Clark and Gary Prim, and directed by Debbie Allen, which opened in Atlanta in 2010 at the Alliance Theatre, and opened at the Pasadena Playhouse in 2011. Kyle is the creator of the Command Performance Workshop and Command Performance Broadway Intensive, both young artist and teacher training programs for musical theatre performance. She is an active performer of opera, concert, and recital repertoire, and has shared the concert stage with some of world’s greatest artists, having sung the role of Micaela in Carmen opposite internationally known mezzo-soprano Denyce Graves; performing as a guest soloist with The Miami Festival opposite famed bass-baritone William Warfield; and singing the soprano solos in Mendelssohn’s Elijah opposite baritone Timothy Noble and mezzo-soprano Marietta Simpson. Kyle has appeared as a soloist on the pop music stage with famed artists Patti Labelle, Patti Austin, Dionne Warwick, Ann Nesby and Vesta Williams. Kyle’s one-woman-show, Sondheim in the City, premiered in NYC at the Laurie Beechman Theatre/West Bank Café in October, 2011, and she premiered the title role in Daniel Lincoln’s show, Calixte and Tosca with Mississippi Opera. Specializing in belt and legit style Broadway technique, Kyle has had a tremendous success in training singers in the best and healthiest use of their voice, and in integrating the function of singing with their character and physical acting process. She maintains a studio in New York City and has worked with the NYU-Tisch, Playwrights Horizons Studio, and the musical theatre apprentice program as a part of the International Performing Arts Institute. Additionally, Kyle has presented workshops in musical theatre belting at the 2017 Florida Thespians Conference in Tampa, Florida and over 30 universities and colleges across the United States. Her students have earned apprenticeships with Seattle Opera, Lake George Opera Festival, Aspen Festival, Tanglewood Music Festival, Ohio Light Opera, Brevard, Wolf Trap, Ashlawn Opera, Opera North, Utah Festival Opera, Opera Saratoga, Sarasota Opera, Des Moines Opera, Chatauqua Opera, Central City Opera, Savannah VOICE Festival, Crested Butte Opera, Opera Breve, Harrower Opera program, Cincinnati Opera, Virginia Opera, Opera in the Ozarks, Emerald City Opera, Fort Collins Opera, International Performing Arts Institute and Operafestival di Roma; many continue to pursue their studies in major conservatories and schools including Juilliard, Indiana University, San Francisco Conservatory, Boston Conservatory, Manhattan School of Music, Cincinnati Conservatory, Oklahoma City University, Florida State University, Fordham University, Louisiana State University, the University of Illinois and New England Conservatory of Music. She has students performing throughout the world in Germany, France, Mexico, Brazil, Thailand and Italy in musical theatre, opera and commercial music. Kyle has dedicated her life to mentoring and training performer teachers. Those for whom she has mentored are teaching in universities, colleges, and performing arts schools. Placements include Colorado State University, Colorado Mesa University, University of Mobile, University of Louisiana Monroe, Northwestern State University, New Saint Andrews College, Augustana College, LaGrange College, Shorter University, Oklahoma State University, University of Mississippi, William Carey University, Children’s Theatre of Charlotte, Sight and Sounds Theatre and numerous community college programs. Kyle’s main opera roles include Mimi and Musetta in Puccini’s La Boheme, the title role in Tosca, Countess and Susannah in Mozart’s Le Nozze di Figaro, Fiordiligi in Mozart’s Cosi fan Tutte, Violetta in La Traviata, Pamina in Die Zauberflote, Lady Billows in Albert Herring, Micaela in Carmen, the title role in Floyd’s Susannah, and the Evil Queen in the world-premiere of Snow White. She has served as director of the Apprentice Artist program with Mississippi Opera, and vocal coach with Festival South. Kyle also served on the faculty of the International Performing Arts Institute, Germany, Operafestival di Roma, Italy and was a featured clinician at the Festival Musica nas Montanhas, Brazil. Having a passion for the art of teaching, Kyle has launched a website entitled “The Pedagogy of Style” which features videos, books, workshops and retreats for performers and teachers of singing. Her upcoming book, “The Pedagogy of Style,” will be released in July of 2018 and will include article contributions from University of Florida professor of musical theatre voice, Matt Morgan. In 2017 Kyle was chosen to present at the national convention of the National Opera Association (NOA) in Santa Barbara, California and was the featured master class presenter at the NOA Regional Conference in Atlanta. In 2015 she was named director of musical theatre voice with IPAI in Germany as well as the director of the Teacher Fellowship Program. The 2016 Teacher Fellowship program of IPAI chose five university professors and six were chosen for the program in 2017. These professors spent three weeks studying Kyle’s method of teaching technique and vocal style as well as serving as artist performers. She has been named director of vocal studies with the newly formed IPAI, Thailand for 2017.